Description: The Rosary is said every Friday morning at 11:00 am in church. Description: The People of Praise prayer meeting will be held Monday at 6:30 pm in the Oak Room. Description: Get your child's car seat inspected by a certified car seat technician. Car seats are checked for proper size and installation, as well as possible recalls. Learn about correct use of car seats and ensure proper seat belt fit for older children. Child and vehicle must be present. Expectant parents are welcome. Allow 30 min. per car seat. Registration is not required. 2017 dates are First Thursday of each month 4-7 p.m.
Alzheimer's or other types of dementia, and those who worry about memory problems. On the menu--carrots, red potatoes, coleslaw, macaroni and cheese, onions, Vienna bread, fish tacos, beverage and ice cream cup. 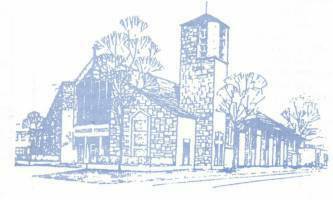 Serving is from 4:30 to 7 pm in the cafeteria of Immaculate Conception School at 1722 Highland Avenue in Eau Claire, and all facilities are handicapped accessible. The cost for the meal is $11.00 for adults, children ages 6-12 are $5.00, children under age 5 eat for free and all carry out meals are $11.00. THANK YOU SPONSORS! -- We would like to thank the following businesses for helping to sponsor our 2019 Fish Boils, and they include: Bohl & Proulx Plumbing, Chilsen Automotive Group, Eric Borst-Chippewa Valley Real Estate, Hampton Inn Suites of Chippewa Falls and Menomonie, Dan Donnellan-Donnellan Real Estate, MCL Companies-General Contractor, McMahon Chiropractic and Physical Therapy, Muldoon's Men's Wear, Piltz Glass and Mirror, ReforMedicine, Wilbert Statz Home Builders and Tru-Lock and Security. Please patronize the businesses that help make the Fish Boils possible. Description: The café offers a comfortable way for you and your care partner to have fun and socialize with others who have Mild Cognitive Impairment, early to moderate Alzheimer's or other types of dementia, and those who worry about memory problems. The Rosary is said every Friday morning at 11:00 am in church. The People of Praise prayer meeting will be held Monday at 6:30 pm in the Oak Room. Get your child's car seat inspected by a certified car seat technician. Car seats are checked for proper size and installation, as well as possible recalls. Learn about correct use of car seats and ensure proper seat belt fit for older children. Child and vehicle must be present. Expectant parents are welcome. Allow 30 min. per car seat. Registration is not required. The café offers a comfortable way for you and your care partner to have fun and socialize with others who have Mild Cognitive Impairment, early to moderate Alzheimer's or other types of dementia, and those who worry about memory problems.